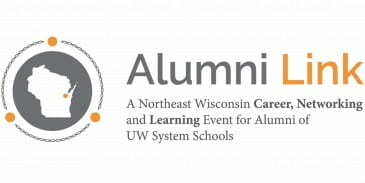 The UW-Green Bay Alumni Association in conjunction with Current Young Professionals is hosting a Meet-Up at Green Bay Distillery prior to the Green Bay Men’s Basketball game against Detroit at 5:30 p.m., Wednesday, Feb. 18. Tip-off is at 7 p.m. at the Resch Center. Cost is $15 for alumni, $20 for non-alumni guests and $10 for children (under age 18) and includes your ticket to the game. * There will be great food and drink along with other cool stuff to cheer on the Phoenix, as well as chances to win some fantastic prizes. Please RSVP to Kari Moody by Mon., Feb. 16 at moodyk@uwgb.edu or register online at Phoenix Men. *If you are a season ticket holder or have tickets to this game, there is no cost to attend the reception. Advance registration is required for entry into the reception. This entry was posted in Athletics, Events and tagged alumni basketball receptions, Alumni Relations, Green Bay Basketball on February 11, 2015 by moodyk. We’ve Got Spirit and $25; How ‘Bout You? Our Green Bay men’s and women’s basketball teams are approaching the end of season with a few critical home games remaining. Conference championships and valuable seeding for hosting the conference tournament (and an NCAA bid) are on the line. We’re challenging you to show your February- and March-mania. Wear your UWGB gear (the crazier the better), take a selfie and post it on Twitter with the hashtag #uwgbalumni. Each week through the remainder of the season, we will randomly select one alumni selfie to receive a $25 Phoenix Bookstore gift card. You can enter one selfie per game you attend. Good luck and Go Phoenix! 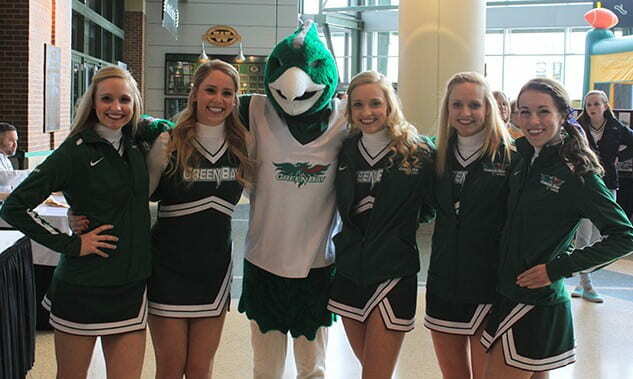 This entry was posted in News and tagged Alumni Relations, Green Bay Basketball on February 11, 2015 by moodyk. Many alumni have shared amazing stories of how their lives were transformed during their time as a student at UW-Green Bay. Some alumni are doing transformational work in their careers and are making the world a better place. As UWGB celebrates its 50th Anniversary, 50 alumni who have experienced the “UW-Green Bay Transformation,” will be featured. 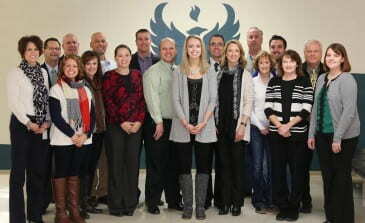 If you have a story to share, please email Director of Alumni Relations Kari Moody with details at moodyk@uwgb.edu. A library of stories will be compiled throughout the next several months to be shared in the 2015-2016 academic year. For more information about the UW-Green Bay 50th Anniversary Celebration, visit 50.uwgb.edu. 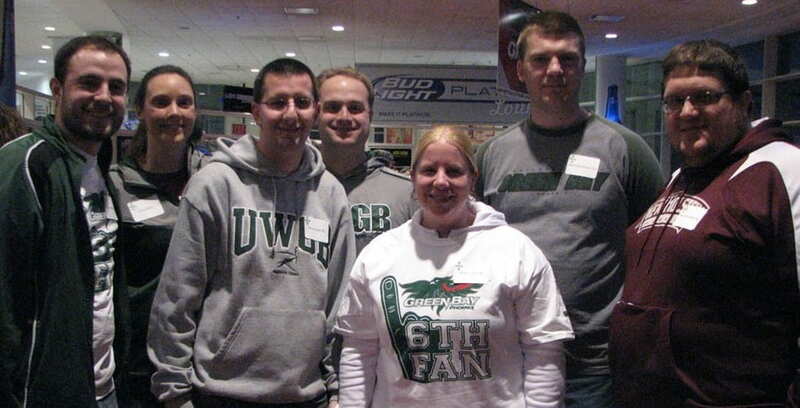 This entry was posted in News and tagged #uwgb50, 50th Anniversary, Alumni Relations on February 11, 2015 by moodyk. You…UW-Green Bay Alumni, are critical players on our admissions team. Who better to tell prospective students about the amazing people and opportunities at UW-Green Bay? It is our hope that you are bold about sharing the features of our wonderful campus to all the people searching for higher education opportunities. The admissions team is looking to increase the number of students who choose UWGB and we are formalizing the process for following up on your initial engagement. We call it, “Refer-a-Phoenix.” It would simply require you to take a minute to fill out a form at www.uwgb.edu/refer. Someone from the admissions team will follow up with your potential student, answer any questions they might have about their college search and encourage a visit. (We have great success enrolling students who make a campus visit!). In the meantime, if you have questions about applying to UWGB, or if you have suggestions for the admissions team, please contact Jen Jones at jonesj@uwgb.edu. This entry was posted in News and tagged Alumni Recruiting, Alumni Relations on February 11, 2015 by moodyk.